Introducing Tattershall Lakes In Lincolnshire And The New TriBeCa Caravan! Tattershall Lakes is a country park in Lincolnshire, owned by Away Resorts. Set in over 300 acres, this lakeside park is ideal for babies and toddlers who’ll love the beach, splash park, indoor swimming pool, playground and jam packed activity and entertainment schedule. 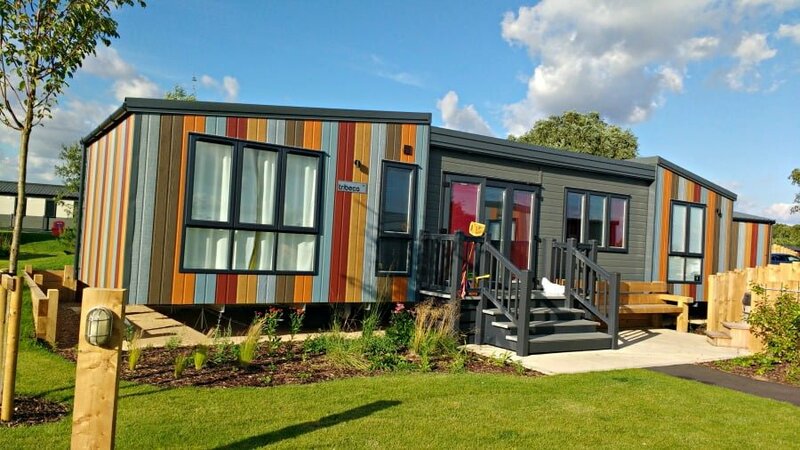 In this article I’m going to tell you all about Tattershall Lakes for babies and toddlers, and share some exciting information about Away Resort’s new TriBeCa style caravans! Tattershall Lakes is located in the beautiful Lincolnshire countryside surrounded by farms, market towns and only 40 minutes away from the seaside resort of Skegness. The National Trust’s Tattershall Castle is next door, as is RAF Coningsby, which is the home to some of the UK’s Typhoon fighter jets. There is a range of accommodation options at Tattershall Lakes including caravans, lodges, glamping and camping, but 2017 saw the arrival of a kid on the block – the TriBeCa. Inspired by a New York style loft, the TriBeCa is a caravan – but not as you would know it. It appeals to families who are looking for somewhere stylish and luxurious to stay on holiday, with bags of extra space and trendy touches. The large open plan living area has big windows, high roofs and plush extras such as a designer fridge, large flatscreen TV and sound bar. Parents who want to relax on holiday will love the master bedroom with its fluffy carpets, thick curtains, kingsize bed, free standing wardrobes – and the best bit of all – a freestanding bath tub! The Kids Room is one of the TriBeCa’s best bits. This awe inspiring room is a dream come true for kids with its forest theme, 3 bunk beds and even a den. Each bunk has its own TV, and there is plenty of room on the floor for the kids to play with their toys. Some TriBeCa caravans have their own hot tub which is a wonderful way to relax after a busy day having fun. Just remember to take your swimming stuff! If you go on holiday with a baby or toddler, you can find that you spend a lot of time in your accommodation due to early bedtimes, naps etc. However, the TriBeCa is a haven where you will want to spend time, and where amazingly, you will be able to relax too. After bedtime, choose from either a soak in the free standing bath tub, or watching the stars from the privacy of your own hot tub before sinking into bed. Plus, the extra space in the TriBeCa means that you don’t all need to live on top of each other either – particularly important when you have loads of baby and toddler paraphernalia, which takes up loads of space. Tattershall Lakes is brilliant for babies and toddlers. There is so much to do onsite, and you can combine this with exploring the local area. There is a small beach area with sunbeds, and shallow water where little ones can play and build sandcastles. Don’t forget your bucket and spade! Toddlers will love playing in the splash park overlooking the lakes with its squirting fountains, cascades, jets and spouts. 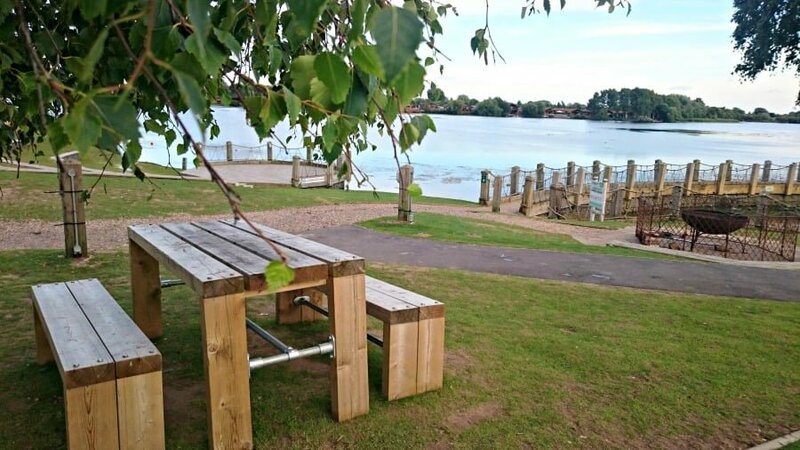 Kids will adore playing on the pretend Spitfire in the Tattershall Lakes playground overlooking the lake. This excellent playground is protected from the sun by large shades, and has plenty of benches and seats around it for parents to sit on whilst supervising. 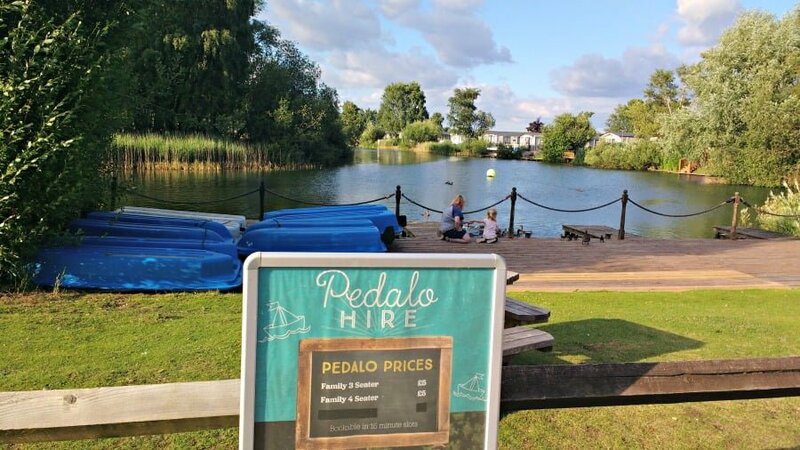 Hire a pedalo for a boat ride around the lake – the perfect thing to do on a summer’s day! There is a cycle trail around the park which is fun way to explore the whole park. Cars are allowed inside the park, so it isn’t traffic free, but Lincolnshire is very flat so cycling is an easy to way to get around. Bike hire is available from £4 for an hour or £32 for a week. There is an indoor swimming pool onsite which is open at various times during the day. One of the best things about Tattershall Lakes is the range of fun activities which you can take part in. There is at least one free activity a day but the prices for the other ones are really reasonably priced. Find out more about the other activities at Tattershall Lakes. The Merlin is the hub at Tattershall Lakes and is where you can find The Spitfire Bar and Diner. This serves food all day and has family favourites such as burgers, pizzas, pasta and fish and chips. There is a Children’s Menu which costs £5.75 for 2 courses and a drink. The Tattershall Park Country Pub is also just outside the park entrance if you fancy something different. There is loads to do around Tattershall Lakes. #1. Lincolnshire Wildlife Park – We headed here to see the 8 Bengal Tigers which live here, Nigel the Puma and hand feed the parrots in the Walk Through Aviary. A great way to spend a morning of afternoon. #2. 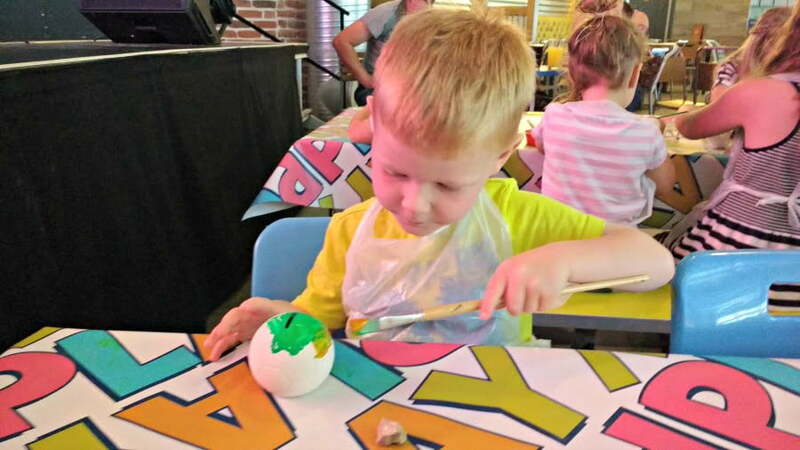 Tattershall Farm Park – small farm park with animals, indoor soft play, sand pit, playground and small café. #3. Skegness – Fancy a trip to the seaside? No problem – Skegness is just 40 minutes away from Tattershall Lakes. #4. Tattershall Castle – the National Trust’s Tattershall Castle is just next door to the country park. Head there for a run around the grounds or to climb to the top of the castle to get magnificent views of the countryside. #5. The Jubilee Park at Woodhall Spa – Go for a dip in the outdoor heated swimming pool at this bustling market town close to Tattershall Lakes. There is parking for 2 cars with every TriBeCa caravan. Don’t forget to carry your entertainment passes around with you or you may be refused access to the Merlin Centre. The park is quite large so bring your bikes if you have them. Bedding and towels are provided along with a welcome pack of tea, coffee, milk, biscuit and Fruit Shoots for the kids! Midweek Little Campers Breaks are available at Tattershall Lakes from just £224 per family for a 4-night break staying in a TriBeCa caravan with a hot tub. Those caravans look amazing! Looks like a great place for families.